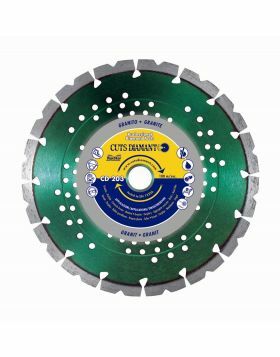 Silent diamond blade recommended for cutting concrete and granite. 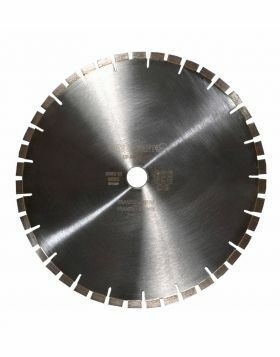 The reduction in noise is granted by special laser slots present on the steel core of the diamond blade. The diamond segments are laser welded and are 12mm high. 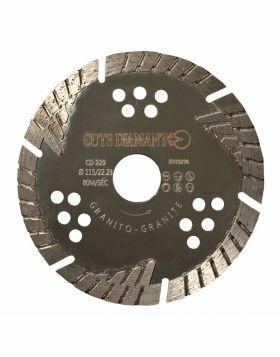 The cutting speed is very high thanks to the short segments, which reduce the contact surface between the diamond disc and the material to cut. 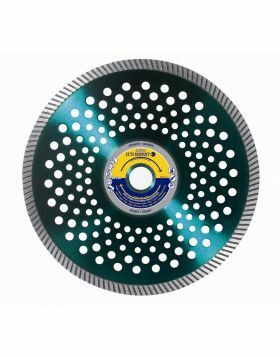 This diamond saw blade is ideal for cutting granite, concrete, reinforced concrete, clinker and building materials. It is available in the diameters 230mm for the angle-grinder and in 300mm, 350mm, 400mm and 450mm for the cut-off saw and table saw.